Must I hire an attorney? While anyone can certainly represent themselves (i.e., small claims court is known as the “people’s court”), we always recommend that you consider hiring one should your case be challenging to prove or if you are uncomfortable with going before a judge. Who is eligible to file a complaint in small claims court? A person who is 18 or more, or anyone conducting business on behalf of a corporation, may file a small claims case. For those less than 18 years of age, a parent or legal guardian can file a case on their behalf. How much does my case have to be worth to file in small claims court? In Orange County, cases must be worth $5,000 or less to be eligible for small claims court. How much will it cost me to file a complaint? Florida law governs the monetary amounts that can be charged to file a case. 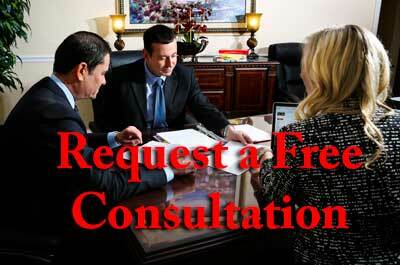 Keep in mind that filing fees vary in accordance with the type of claim and amount it is worth. For more information, you can visit the Orange County Filing Fees Chart. What documentation do I need to have with me when I file my complaint? It is crucial that you have the exact name of the individual or entity against whom you are filing your case. You should also bring any documentation to the court that substantiates your complaint, including any applicable contracts, notes, letters and additional supporting evidence. Note that you will be required to bring the originals with you at your scheduled court appearance. After your case is filed, the person or entity with whom you are suing will be served with a Summons/Notice to Appear, which will provide the information as to when the case is scheduled to be heard. The first court appearance is typically a pre-trial conference/mediation session where you and the opposing party will have an opportunity to settle your issues. Should you be unable to resolve your case, a trial date will be scheduled by the court. At such time, you will need to be prepared to present your case, along with your documentary evidence and witnesses, if any. Will a jury be able to hear my case? Yes, you can request a trial by jury in writing at the time you file your case. The defendant can also request a trial by jury within 5 days after they receive your Notice to Appear, or, they can make this request on the day of the first court appearance. How do I receive the damages I was awarded? It is recommended that you speak with a lawyer as to the ways in which you can successfully collect your judgment. Keep in mind that the court does not do this for you. For more information on the above, or, if you are looking to pursue a case in small claims and would like to learn more about your legal rights and options, call us now at 1-800-469-3486 or feel free to email us. We proudly represent clients located throughout the Tampa, New Port Richey, Orlando, Clearwater, Lakeland and Wesley Chapel areas.